This package was approved as a trusted package on 3/27/2019. Lightworks is Academy and Emmy award-winning, professional Non-Linear Editing (NLE) software supporting resolutions up to 4K. In the last 25 years Lightworks has been used to edit some of the finest films in cinema history: LA Confidential, Pulp Fiction, Heat, Road to Perdition, Hugo, The King's Speech and many more. 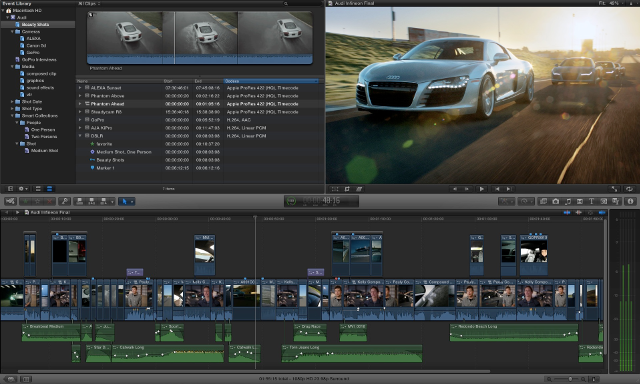 The free version is has some limitations compared to the commercial version, most importantly to a resolution of 1080P. For a feature comparison, see www.lwks.com. This discussion is only about Lightworks and the Lightworks package. If you have feedback for Chocolatey, please contact the google group. Tell us what you love about the package or Lightworks, or tell us what needs improvement. Deployed from e27d7a207f. You are on web.4. UTC time is currently 20 Apr 2019 03:28:19 +00:00.